Click here for map and buss lines! SPROUT started in 2014 and continuous throughout 2017. The SPROUT waste-to-value programme (Safe PROtein from Unused wasTe) represents a new approach to waste management. A short and simple treatment process with fly larvae composting converts organic waste and manure into high value products using a system of low technical complexity. The environmental impact of the fly larvae composting is less compared to the conventional systems of today. The overall objective of this three-year project is to develop a turn-key solution for waste-to-value treatment where the larvae of the Black Soldier Fly (BSF) convert waste into valuable animal feed and fertiliser. Within the project, design specifications and a market-ready prototype of a modular treatment unit for converting organic waste into insect-based animal feed will be developed. The underlying aim is to produce SPROUT waste-to-value treatment units and post-market support for small- to medium-scale organic waste treatment. Treatment concept for fly larva composting of waste and manure (Cecilia Lalander). SPROUT is a multi-national R&D project with SLU (Swedish University of Agricultural Sciences) and Eawag (Swiss Federal Institute of Aquatic Science and Technology) as the research partners and Pacovis from Switzerland as the partner from industry. 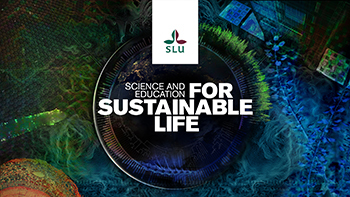 Participating from the SLU-department Energy and Technology: Assoc Prof Björn Vinnerås (Project leader) and Dr Cecilia Lalander.